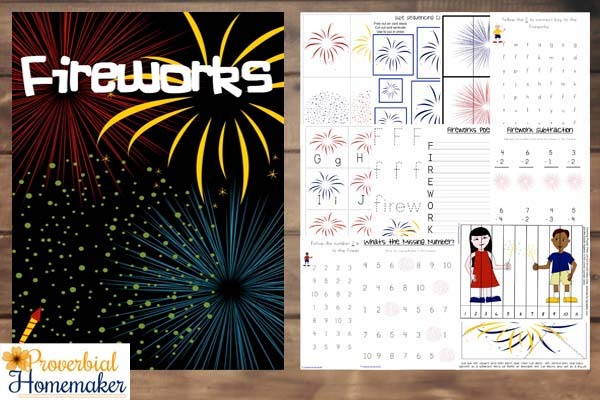 Celebrate Independence Day or the New Year with this fun Fireworks Printable Pack! 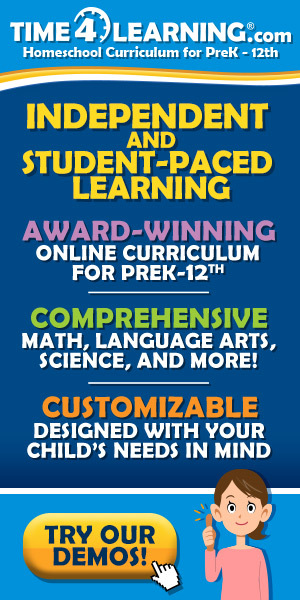 This is aimed at children aged 2-8, though there are a couple of pages that older children will still enjoy. 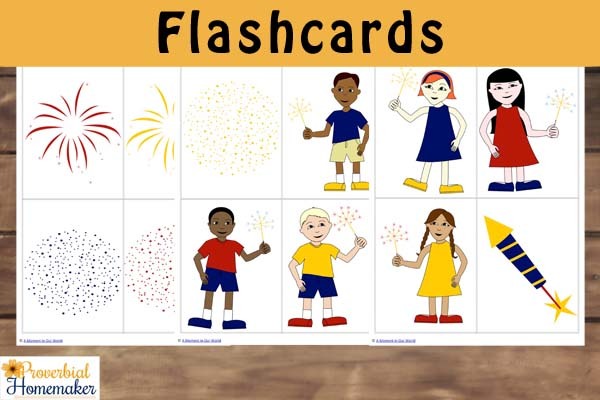 Fireworks Flashcards. We used these flashcards as story writing prompts. My boys would take a flashcard and write a short story about the picture they chose. 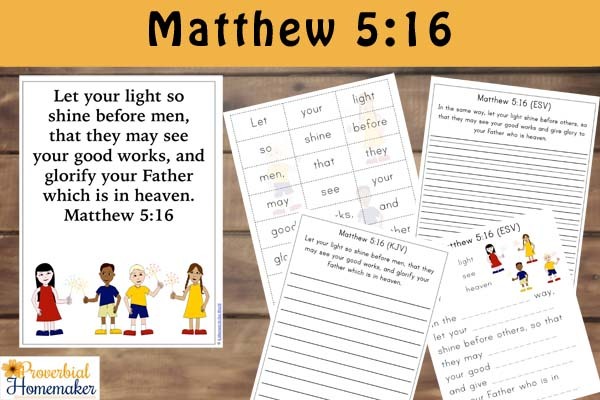 When two copies of these flashcards are printed out on white cardstock and laminated, they can be used in memory / matching games and snap. 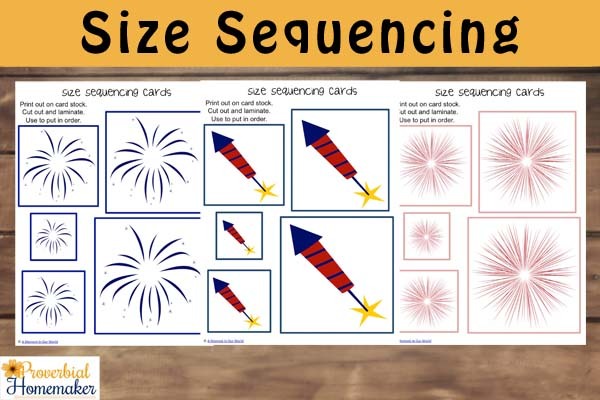 The size sequencing cards are great for learning sizes and arranging in decreasing or increasing size order. 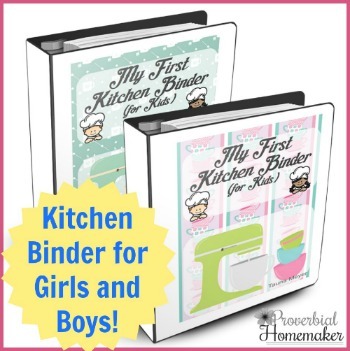 There are three part puzzles and number puzzles, which again are great when, printed out on white cardstock and laminated for durability. The number puzzles are a great way for kids to learn how to count to 10, count in 2’s to 10 and count to 10 in 5’s. 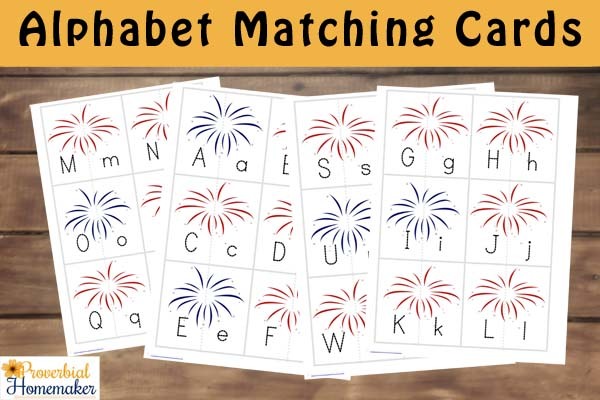 The fun alphabet matching cards are great for matching the capital and little letters to each other. 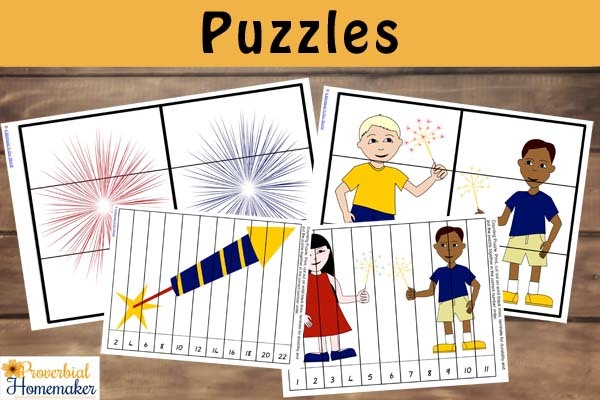 I have also used a different color firework for the vowels, to help your child learn which letters are vowels and which letters are consonants. 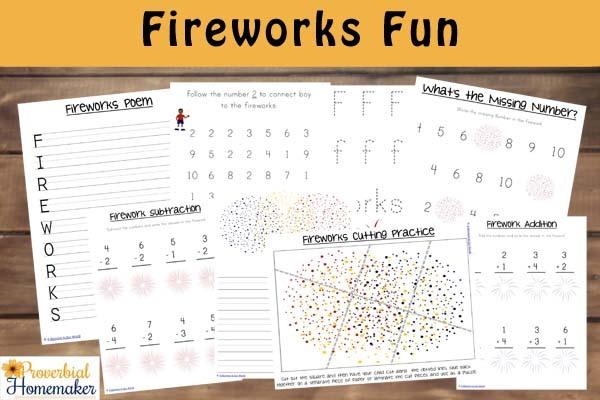 Other activities include: story writing, cutting practice, poem writing, simple addition and subtraction sums as well as a fireworks word search. I have also included some amazing Bible Verses. 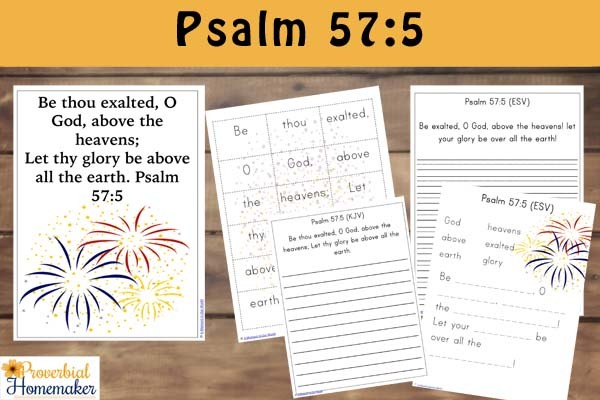 Each Bible Verse has the same activities, and each activity is in both the King James and the English Standard Versions. 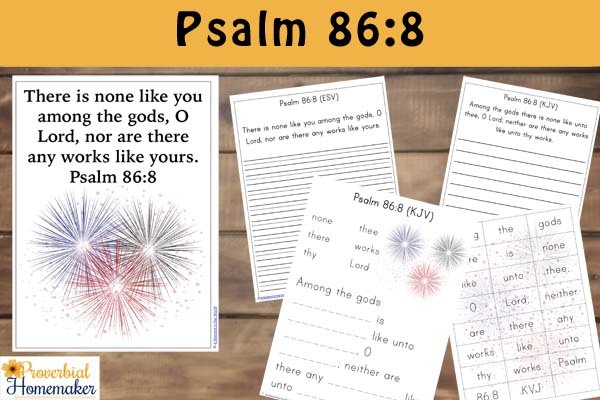 I hope this Fireworks Printable Pack will bring lots of fun and learning to your holiday as well as lots of encouragement from the awesome Bible Verses we have been given in God’s Word! 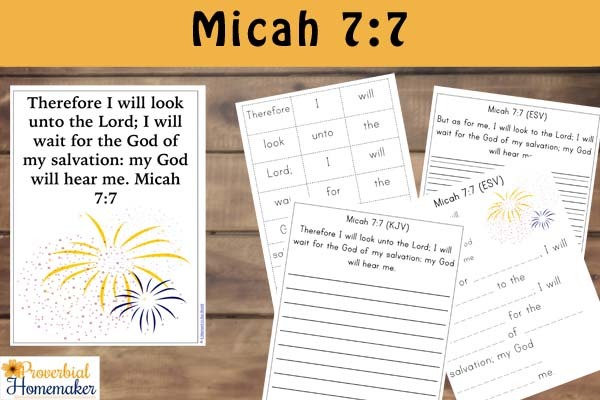 Download the Fireworks Printable Pack!